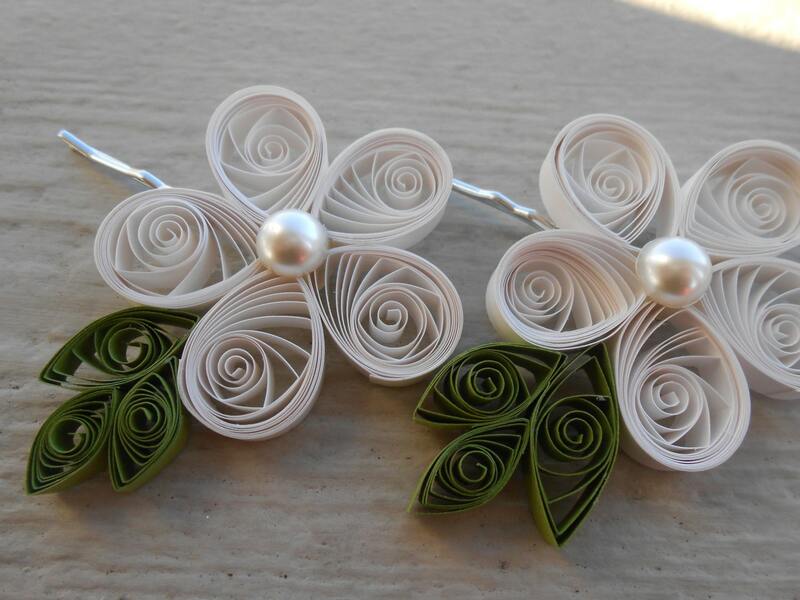 These lovely paper flower hair pieces are great for weddings! 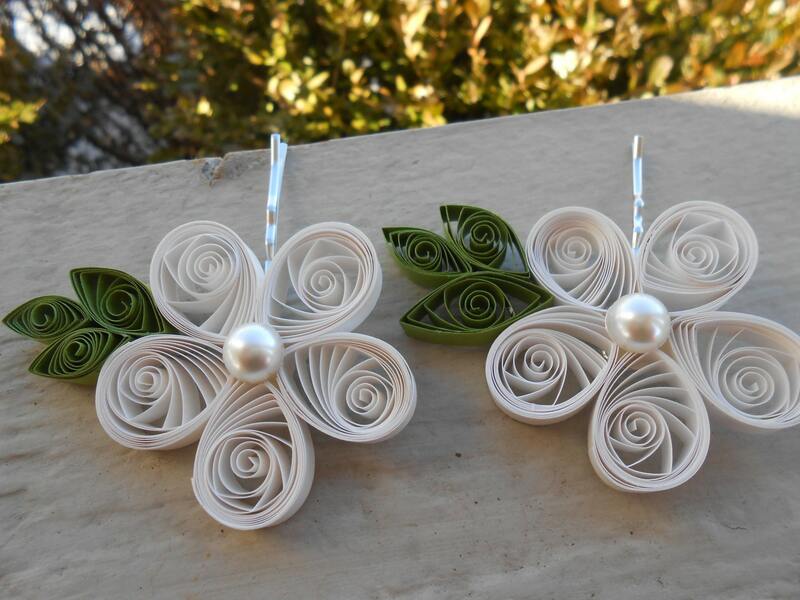 This listing is for quilled paper flowers, in the colors or papers of your choice. You also get to choose the amount you want. 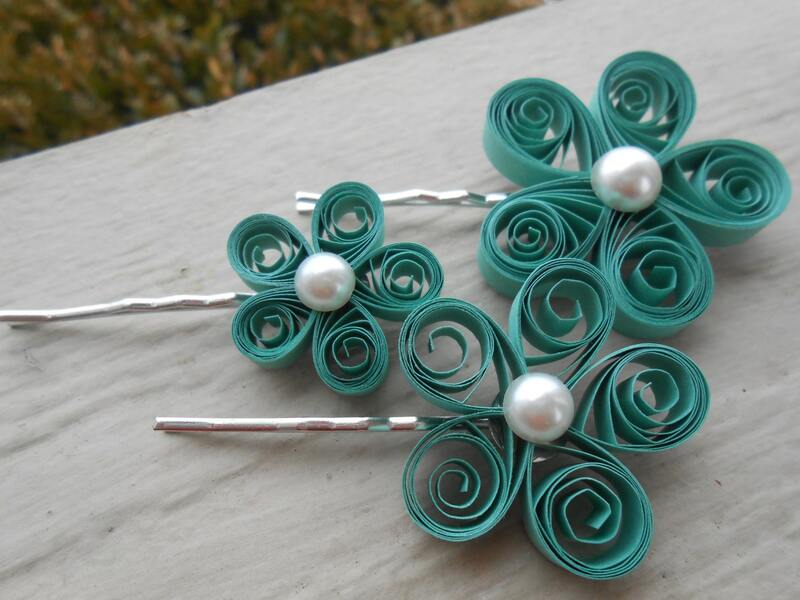 Each will have a pearl in the middle and be on a silver bobby pin. They are very lightweight and can go anywhere within your hairstyle! The flowers measure 2.5". These look great in any bride or bridesmaid's hairstyle! AT CHECKOUT: PLEASE LET ME KNOW WHAT COLORS YOU WOULD LIKE. 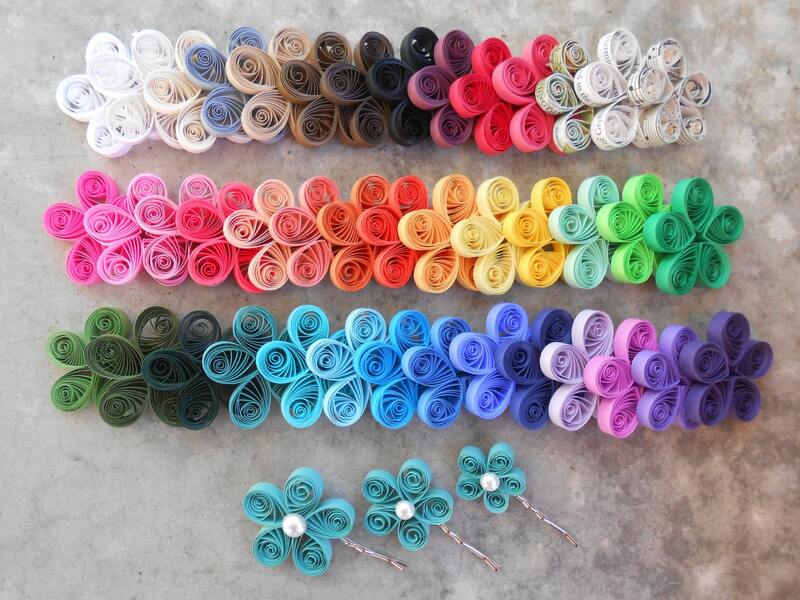 I CAN DO MULTIPLE COLORS, OR I CAN EVEN MIX COLORS IN EACH FLOWER! I can also make these out of maps, sheet music, and books. (Leave notes at checkout if you want something special). 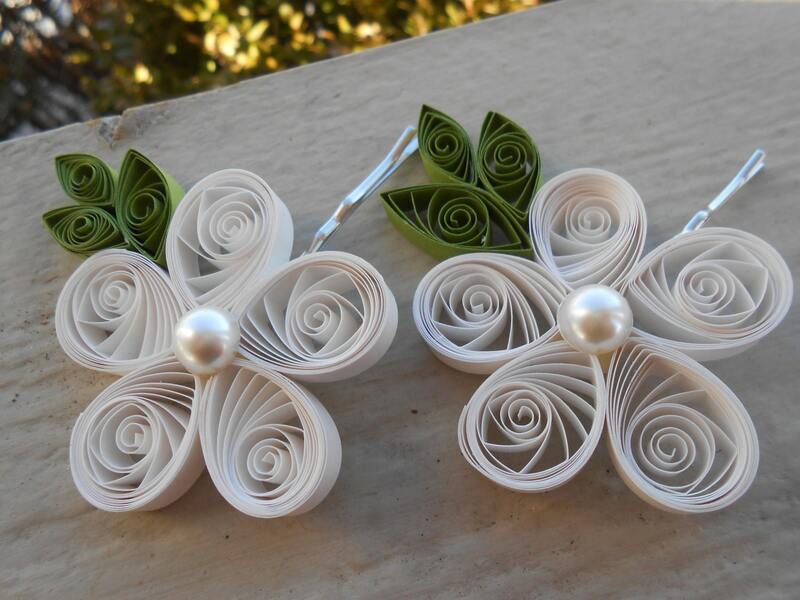 These also make wonderful gifts or favors at a bridal shower. Please contact me with any questions or requests. I love to make things and custom orders are welcome.